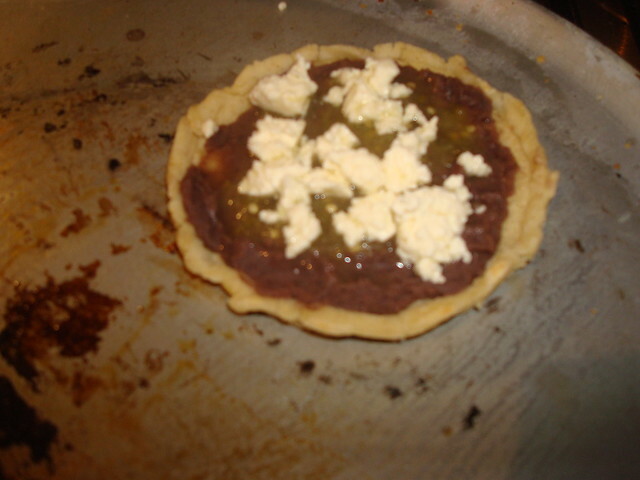 Queso fresco (Mexican cheese) or feta cheese. 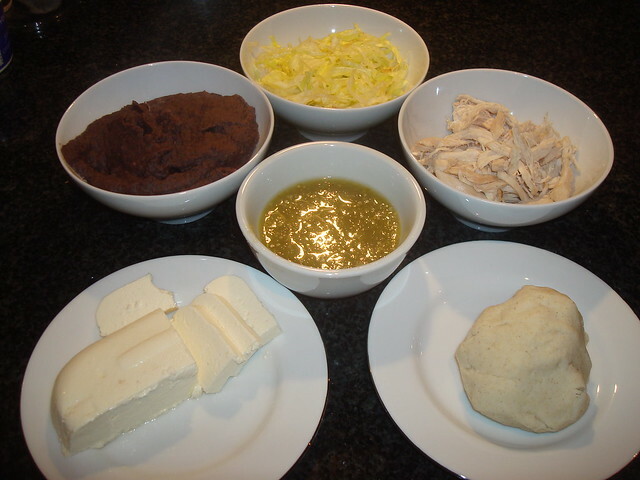 *You can buy corn flour (Maseca) and just add warm water and a pinch of salt to make your dough. 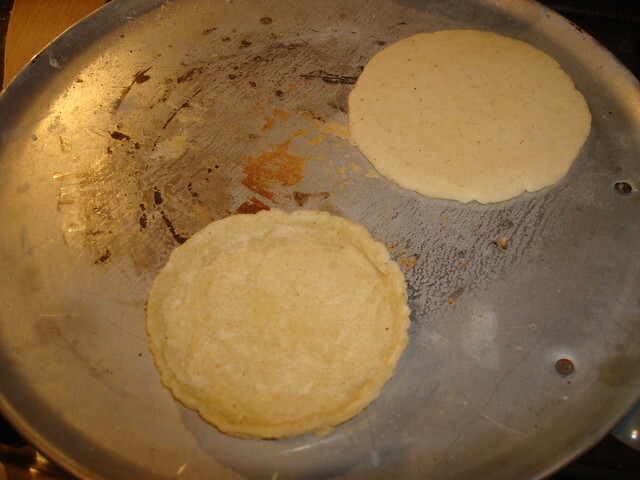 Make a little ball with the dough, put it between a plastic sheets (you can made them with a plastic bag) and press it to form a circle or a little tortilla (it should be thicker than a tortilla). 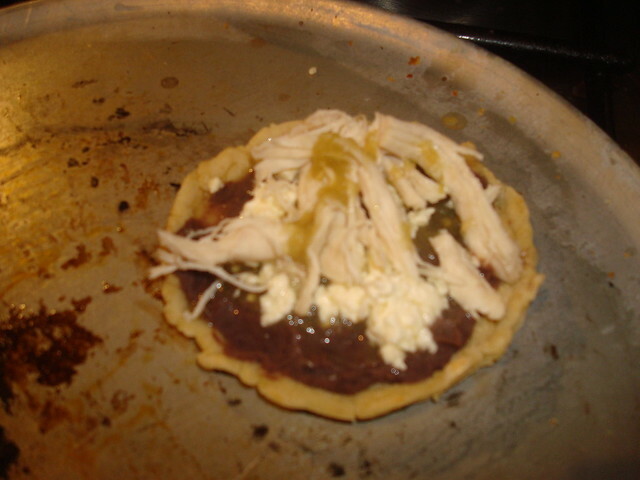 Put it in the comal or in a hot pan for about 1 minute. 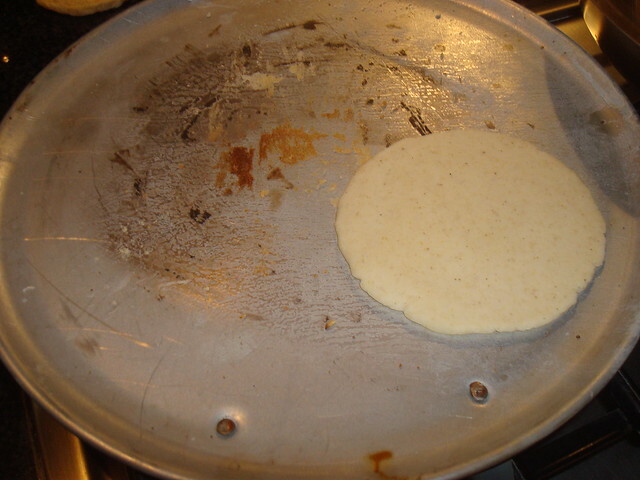 Turn it. 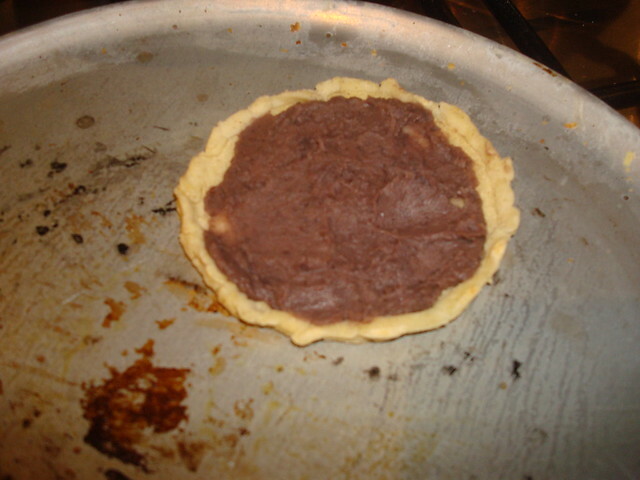 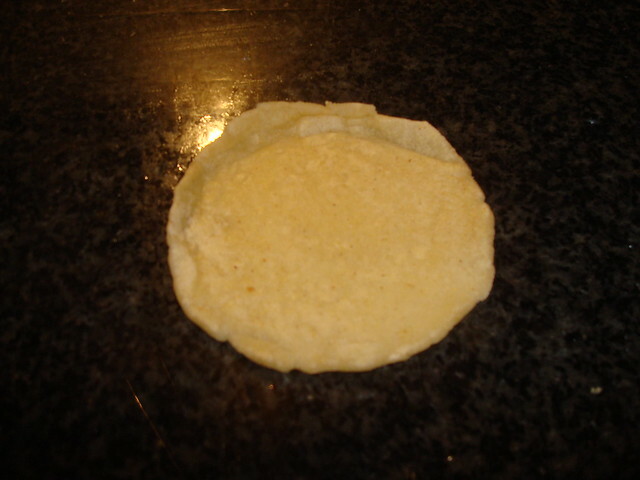 With your hands make a little border in the perimeter and return to the comal or pan to cook the other side. 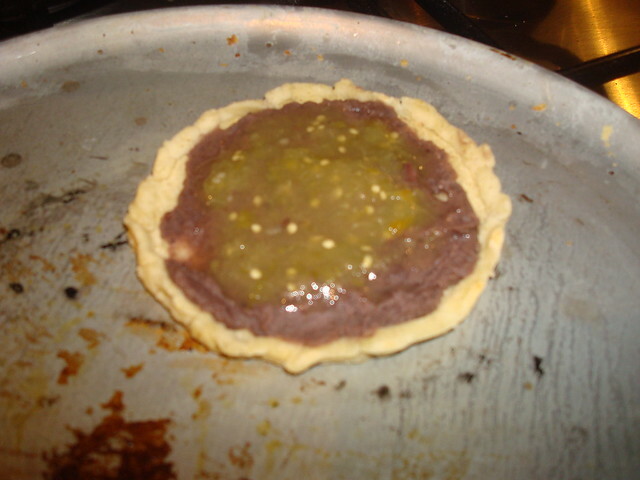 Then add the green sauce, or any other kind of sauce. 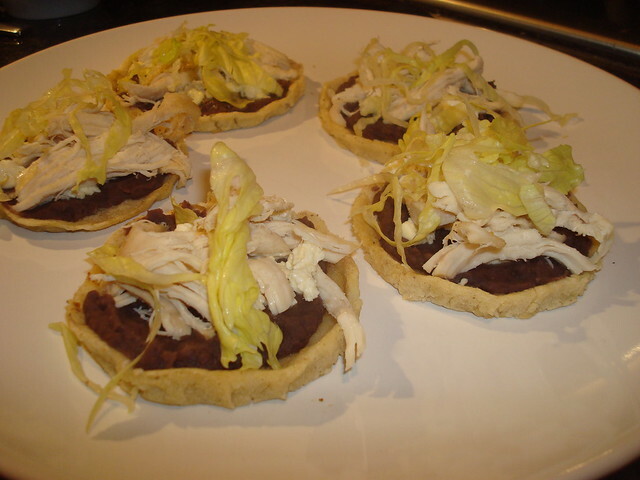 And finally add the shredded chicken, you can also add any other topping as avocado, beef, potato or chorizo.